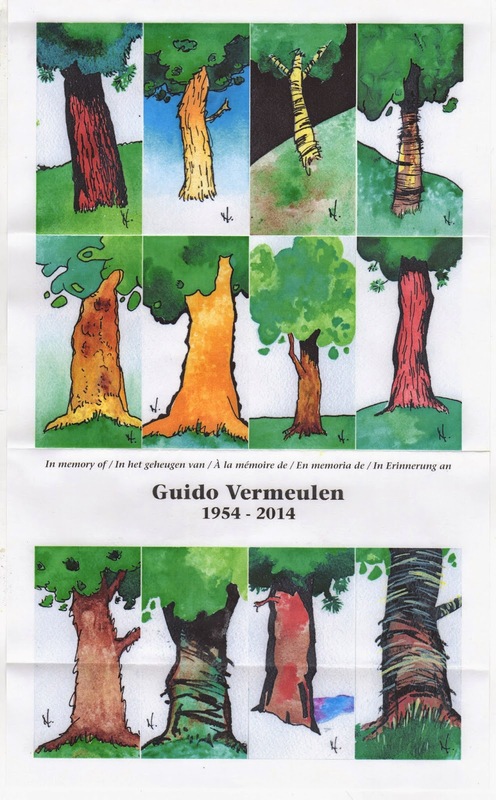 I'm sure the mail art world is still thinking often of our friend, Guido Vermeulen, who died earlier this year. Guido loved trees and sent many radiant watercolours to all corners of the world. Theo has taken at least those two characteristics of our friend and brought him back to life through his wonderful poster and envelope! Many thanks for this delightful memory of Guido.